And how ’bout this? Some health insurance companies, even Medicare, have provided coverage for TMS as a treatment for depression. We’ve discussed transcranial magnetic stimulation (TMS) here on Chipur several times over the years. Fact is, it remains an important discussion, as TMS continues to garner attention. Okay, let’s get right down to it. Just what is TMS? TMS causes electric current to flow in a designated region of the brain by changing magnetic field. 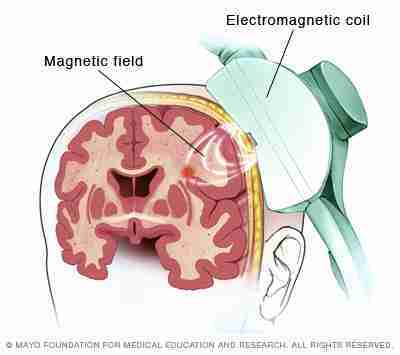 During a procedure, a magnetic field generator – “coil” – is placed near the patient’s head, just above the targeted area of the brain. Being connected to a pulse generator (stimulator), a changing electric current is delivered to the coil. 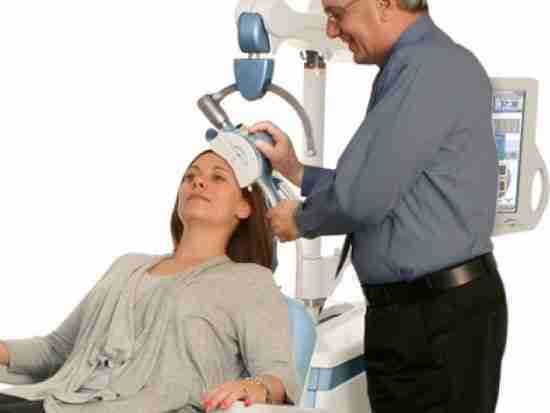 By the way, the device in our lead image, from Neuronetics, delivers the NeuroStar TMS Therapy. It’s FDA-cleared as a depression intervention for those who are dissatisfied with the results of standard drug therapy. Oh, it’s important to understand that TMS has nothing to do with electroconvulsive therapy (ECT). For What Is TMS Used? This is very interesting, actually. TMS is a diagnostic and treatment tool. Diagnostically it may be used to measure the connection between the brain and a muscle to evaluate damage from, say, stroke, multiple sclerosis, movement disorders, and motor neuron disease. As a treatment instrument, TMS may be used for treatment-resistant depression, bipolar disorder, PTSD, OCD, autism, schizophrenia, neuropathic pain, chronic pain, migraines, Alzheimer’s, Parkinson’s, epilepsy, smoking cessation, and more. It’s even been found to be a cognitive enhancer for those with no issues at all. In terms of risk, TMS may rarely cause fainting, and even more rare, seizures. Some patients have experienced pain, as well as temporary hypomania, cognitive changes, and hearing loss. There’s also the possibility of induced currents in the electrical circuits of implanted devices. And how ’bout this? Some health insurance companies, even Medicare, have provided coverage for TMS as a treatment for depression. But this very much varies by company, country, and region. 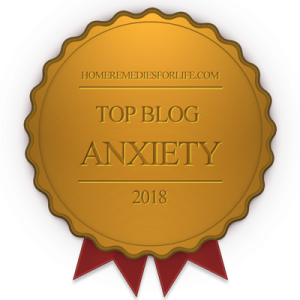 Several weeks ago I came upon a wonderful organization, and website, from which anyone enduring a mood or anxiety disorder could learn a ton – The Brain & Behavior Research Foundation. A research team, led by Linda L. Carpenter, MD, wanted to determine if delivering repetitive TMS (rTMS) via a “two-coil array” – generating combined currents – could safely stimulate the deeper frontal brain more effectively than current single-coil designs. Their work was published in the journal Brain Stimulation. The team procured 92 treatment-resistant depression patients for the trial. Participants were divided into those receiving the two-coil treatment and those receiving a “sham” treatment (coils placed, no current delivered). Results? After 20 daily rTMS treatments, and a four-week follow-up, 55% of those treated with the current showed definite signs of improvement. Only 32% of those in the sham group showed same. And, by the way, treatment was well tolerated, headache and jaw pain leading the side-effects parade. Yes, the realities of “treatment hit-or-miss” make it tough to live in the mood and anxiety disorder neck of the woods. But disciplined, creative, and diligent we must remain. 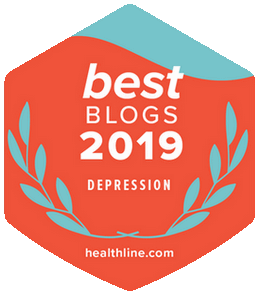 Transcranial magnetic stimulation is a huge treatment consideration for depression and, perhaps, other mood and anxiety disorders. If you’re struggling, do your due diligence – and talk with your doc. Here’s the full article on the two-coil study. There are hundreds of Chipur mood and anxiety disorder-related titles awaiting your perusal. Please, do some articles.